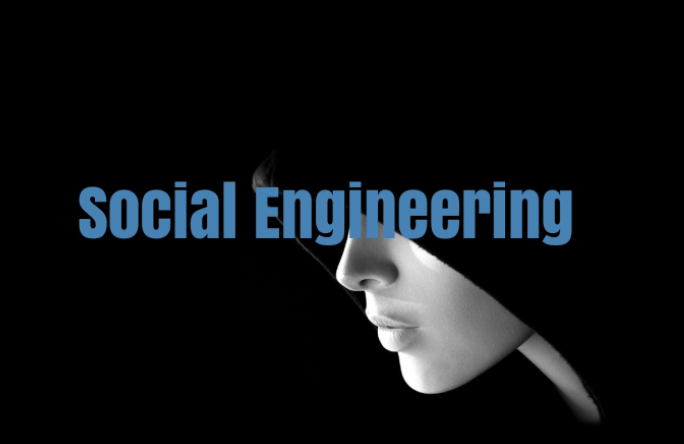 By Graham Vanbergen: In today’s context, social engineering has now moved on – dramatically. It refers to the manipulation of people into performing actions they wouldn’t normally do. It’s a type of confidence trick, but unlike back in the day when propaganda was largely in print newspapers, there are now serious consequences of social media being used as the vehicle to distribute computational propaganda via psychological warfare strategies originally designed by the industrial military complex. Brexit was one of them. Social engineering is really the hacking of human beings. It’s not new but what is new is the spectacular take up rate of social media across the world and it brings with it new challenges. The hints of social media being used for geo-political change arrived most notably in the 2010 US congressional elections, where 61 million Facebook users saw a ‘social’ message encouraging them to vote, with a link to polling station information. People saw a clickable ‘I VOTED’ button, like a counter showing how many people had clicked on it and the profile pictures of six of their Facebook friends who had done so. Facebook’s project saw users who saw their friends’ faces more likely to vote than those who saw the message alone. Hundreds of thousands of votes were attributed to this one action by Facebook. As most democratic elections are usually (but not always) won within a margin of about 5 percent, social media has become the latest battleground to get votes. For instance, in the 2015 general election in Britain, 10 parliamentary seats were won on less than one percent of the vote. One Conservative won his seat on a margin of just 27 votes. And social media had a lot to do with these results. As for Britain’s 2016 EU referendum, 72.2 percent of eligible voters, nearly 34 million turned up at polling stations. A total of 70 per cent of all voters, and 82 per cent of 18-24 year olds, expected the UK to stay in the EU. Since the unexpected Brexit result there has been an epic post-mortem conducted through the media on why this happened. Much was blamed on certain demographics such as age, location, education and even religion. But the truth of the matter was that something else happened, which is currently being fought out in both the courts and in the shadows and more recently with the announced involvement of the Electoral Commission. In the case of the EU referendum, only 2.5% of the electorate were identified as the crucial targets needed to cause an historical moment in British history. And so the strategy for bringing about Brexit was constructed. By April this year it was becoming clear that illegal social media campaigns had played a significant role in Brexit. More recently, research has uncovered a number of illegal game plans that are frankly both scandalous and steeped in corruption whilst giving the lie that Britain has a functioning democracy, which it can no longer claim. To deflect the illegal strategies from within our own country, mainstream media has firmly laid blame at Britain’s mortal enemy, Russia. These reports have now reached the point of frenzied delirium. There may be some small truth in them, but as I’ve said before, there’s a big difference between influence and control. Russia does not control Britain. However, bots and trolls were worked together to spread propaganda and manipulate Twitter and Facebook users’ political views, which played a significant role in the Brexit outcome, says a new study from the Oxford Internet Institute, University of Oxford, which, by the way, does not mention Russia. Social media are now monopoly platforms for public life and are being used as a tool for public opinion manipulation which is clearly heading down a route towards methods of social control. For instance, the report makes an example that computational propaganda played a role during three recent political events in Brazil: the 2014 presidential elections, the impeachment of former president Dilma Rousseff and the 2016 municipal elections in Rio de Janeiro. In Britain, it was clear that individual users design and operate fake and highly automated social media accounts. Political candidates, campaigns and lobbyists rent larger networks of accounts for purpose-built campaigns while governments assign public resources to the creation, experimentation and use of such accounts. The Oxford report confirms this. In studies in seven democratic countries, members of political parties and so called ‘freelance campaigners’, and even elections officials provided evidence that social media bots and computational propaganda more broadly had been used to manipulate online discussions. The report confirms this as well. We have since found out that in Poland, significant portions of the conversation about politics over Twitter is produced by a handful of right-wing and nationalist accounts. Ukraine provides another perspective. It is perhaps the most globally advanced case of computational propaganda where numerous online social media disinformation campaigns have been waged against Ukrainian citizens. The industry that drives these efforts at manipulation has been active in Ukraine since the early 2000s, giving an insight to how long this form of human hacking has been active. The most powerful forms of computational propaganda involve both algorithmic distribution and human curation – that is bots and trolls working together, all of which are now artificially shaping public life (Woolley & Howard, 2016). One person, or a small group of people, can use an army of political bots on social media to give the illusion of large-scale consensus. Part of the Oxford report focused on how regimes use political bots, built to look and act like real citizens, in efforts to silence opponents and to push official state messaging. In the case of Brexit and Donald trump’s unexpected rise to the Whitehouse we can see that certain campaigns were aimed directly at swaying the vote or defaming the opposition with numerous examples of misinformation distributed online with the intention of misleading voters. As for the UK Brexit referendum it was found that political bots played a strategic role in shaping Twitter conversations. The family of hashtags associated with the argument for leaving the EU dominated, while less than one percent of accounts generated almost a third of all the messages (Howard & Kollanyi, 2016). This was evidenced by a network of 13,000 twitter bots found to have tweeted hundreds of thousands of predominantly pro-Brexit messages prior to Britain’s EU referendum. The bots then disappeared within a few days of the result confirming their illegal existence. That Twitter may or may not know anything about these accounts is one thing, the fact that someone paid for it all against electoral regulations and got away undetected is very worrying indeed. The co-ordinated attack on Britain’s democracy is slowly coming to light. A company called Cambridge Analytica are accused by a growing number of newspapers of using the same methods the military use to effect mass sentiment change. These are the same strategies of psychological warfare but adapted to be used against a civilian population. In this case – Britain. By mining the data of the entire adult population of Britain, algorithms were used with bots pumping out millions of micro-ads every day that continually learned and morphed enabling individual targeting. At one point, those identified as persuadable were receiving 50-60 politically driven messages in the last few days prior to the referendum. As if to reinforce the huge technical changes society is experiencing, a report from security firm Imperva found that for the first time, bots had overtaken human driven activity on the Internet. That report from October this year stated that 52 percent of online activity is now automated. However, it also found that nearly a third of this activity was driven with nefarious intent i.e. pushing political messages, propaganda and fake news. The truly alarming realisation of all this is that in Britain, with its endemic surveillance apparatus, constructed for the government intelligence operation GCHQ by private contractors, without public or parliamentary debate, has left democracy at the mercy of political actors both inside and outside the borders of the country. According to a growing number of prominent journalists, Brexit was the result of a combination of proven psychological warfare strategies used by privately owned corporations but developed by the British military, along with illegal funding provided by foreign billionaires for the sole purpose of profiting from the economic destabilisation caused by the result. And whilst these accusations are now the subject of bitter legal battles, these same accusations keep bubbling to the surface from different sources. In addition, it has since been found that coordination between ‘leave’ campaigns took place to give Brexit more of a push. It is prohibited under UK electoral law, unless campaign expenditure is declared, jointly, which it wasn’t. Vote Leave says the Electoral Commission “looked into this” and gave it “a clean bill of health” proving that the Commission is woefully equipped to deal with modern day strategies using new technologies. Money was then concentrated into online public manipulation strategies. In fact, more money was paid to just one company than any other ‘Leave’ campaign and that company distributed millions of political propaganda ads. Martin Moore, director of the centre for the study of communication, media and power at King’s College London, contributed to an LSE report published in April that concluded UK’s electoral laws were “weak and helpless” in the face of new forms of digital campaigning. They concluded that within the safety of “offshore companies, money poured into databases, and that the caps on spending had come off. The laws that had always underpinned Britain’s electoral laws were no longer fit for purpose.” Laws, the report said, that needed “urgently reviewing by parliament”. One of the data companies deeply involved in this souring of democracy is effectively part of the British and American defence establishment with its American billionaire owner. Having been caught strategically changing the outcome of history through data manipulation, you would have thought an investigation at the highest level was underway with arrest warrants following quickly behind. Instead, there is merely a libel case over the claims made by The Guardian newspaper to warn off others daring to speak the truth. Finally, only Twitter or Facebook knows what users are being shown what adverts. With weak privacy obligations that the British government allowed in the first place, combined with commercial interests it means that this information is not publicly accessible. If, for instance, Facebook prefers a particular political party in power for tax advantages – who is going to know what they got up to.